I am working with SharePoint online Task List (OOTB). 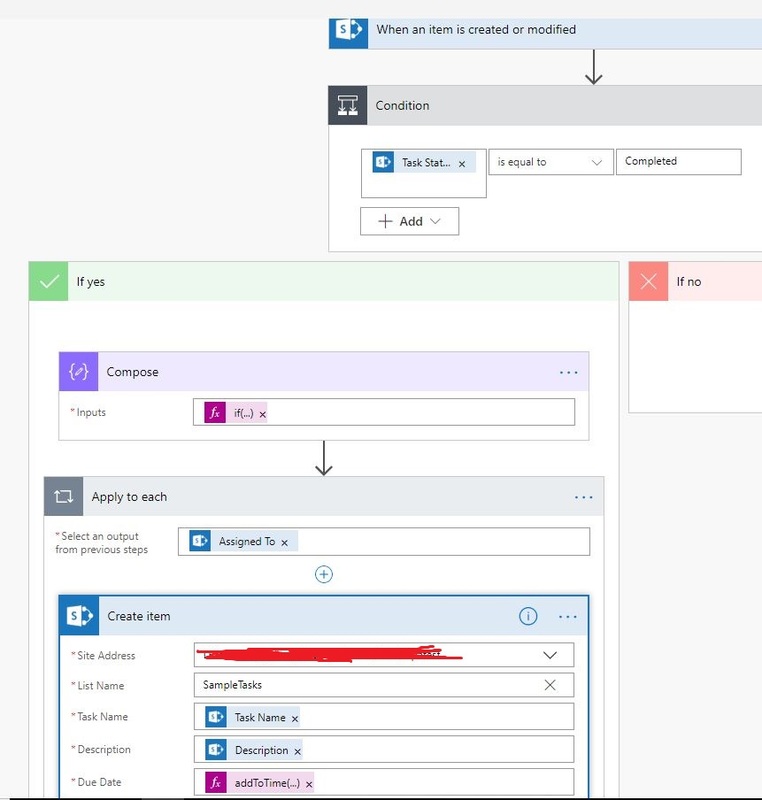 I have a flow setup that triggers when a task is marked as completed and if true it then creates another task as recurring task (all fields info are grabbed from completed task),except Due Date value. I have a choice column called Frequency with values: Annually, Semi-Annually, Monthly, Quarterly. So the goal is when a recurring task is added by flow, prior to that it checks Frequency column value of completed task and if its Quarterly then update the due date by adding 3 months. So for example if due date of task completed is 5/30/2019 and frequency is Quarterly then new due date i See is 8/28/2019 but in theory it should be 8/30/2019, I don't want to update days just Month value. The flow works and gives me an updated due date based on frequency but I just want the month number to be updated for all frequency except Annually. For annually it should just update the Year value. Samples below: 1. Monthly:> 2/27/2019->> 3/27/2019 2. Quarterly: 2/28/2019->> 5/28/2019 3. Semi Annually: 2/26/2019-->>8/29/2019 4. Annually: 3/1/2019-->>3/1/2020. Browse other questions tagged sharepoint-online task-list flow or ask your own question.